CanOils is pleased to announce the release of its new report, Canada’s Top 100 Oil & Gas Companies, which has been compiled using Q3 2015 Canadian oil & gas production results from all TSX and TSX-V listed Canadian oil and gas companies in the CanOils database. The majority of climbing or falling in this quarter’s rankings was due to many companies seeing planned or unplanned maintenance work that blighted their production in Q2 come to an end. This meant they moved towards levels they had previously been producing at, recovering to what could arguably be described as their true place in the rankings. Canadian Oil Sands Ltd. – a company that is currently the subject of a takeover bid from Canada’s 2nd biggest producer, Suncor Energy Inc. – rose by 3 places into 12th position in the rankings after planned Syncrude turnarounds cost the company a significant amount of bitumen production Q2, while fellow oilsands operator MEG Energy also climbed this period (5 places to 13th position) after its own planned (albeit extended due to forest fires) Q2 maintenance came to an end. Many companies fell in the rankings despite stable production levels between Q2 and Q3, due to other companies recording large increases in production of their own. The highest ranked company to fall into this category was Pengrowth Energy Corp., which suffered a 2 place drop to 18th because of the recoveries by Canadian Oil Sands and MEG, while Niko Resources Inc. (down 3 places to 38th), Crew Energy Inc. (3 places to 39th), Twin Butte Energy Ltd. (2 places to 40th) and PrarieSky Royalty Ltd. (2 places to 41st) were among the other notable companies that fell for similar reasons. The other common reason for companies moving up the rankings this period was acquisitions that completed in the quarter. The biggest climbers in the rankings this period were Sterling Resources Ltd. and PetroShale Inc.; both companies recorded a 12 place rise in the rankings to 67th and 95th positions, respectively. Sterling saw the resumption of previously curtailed production in the UK North Sea increase its production by 24% in Q3 over Q2, while PetroShale acquired new wells in the North Dakota Bakken and recorded a 34% increase in production of its own. Granite Oil Corp. suffered the most significant fall this quarter, a drop of 17 places into 80th position, but did not specify the reason why its production fell 47% compared with the previous quarter other than blaming natural decline and a lack of new wells being drilled. 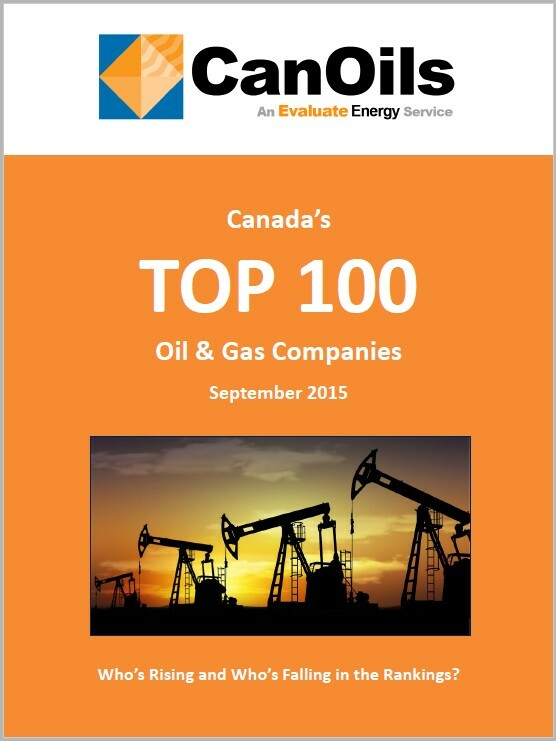 Download the complete report on Canada’s Top 100 Oil & Gas Companies from CanOils here, for free, now. 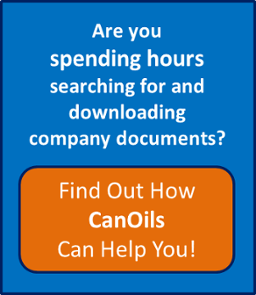 The CanOils database provides clients with efficient data solutions to oil and gas company analysis, with 10+ years financial and operating data for over 300 Canadian oil and gas companies, M&A deals, Financings, Company Forecasts and Guidance, as well as an industry leading oil sands product. Join our mailing list to receive more content and marketing materials from us when we have more data and analysis to share with you.